Completing these steps when you move out of your rental property is the best way to get your bond return underway, get a great reference from your landlord or property manager and make sure you have a seamless moving day. Make sure all of your bills are up to date. Cancel services likes electricity, gas or phone, and redirect your mail. If you're not sure whether anything is outstanding, contact your property manager - they can look into it for you. Your rental property needs to look as good as it did when you first moved in. 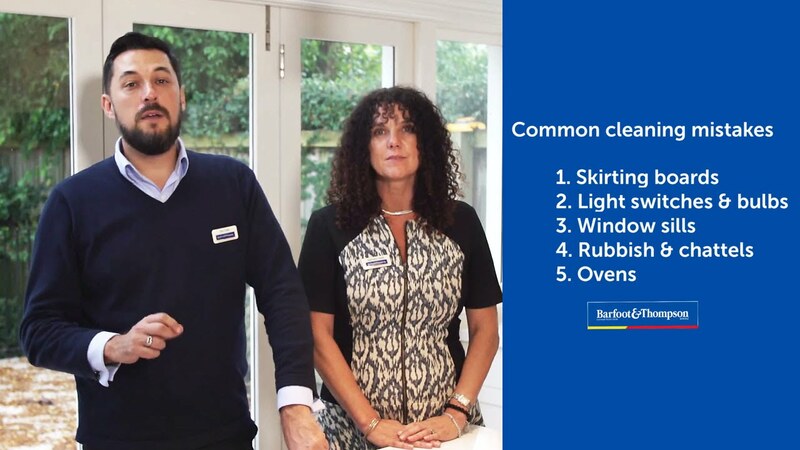 Top Tip: Ask your property manager for the in-going inspection photos. This will refresh your memory on the property's original condition. Clean the kitchen and bathrooms from top to bottom, giving the oven, toilet and sinks a thorough clean, as well as inside all of the cupboards. Clean light shades, windows, walls and ceilings and any other surfaces that you know may be more exposed to grime. All of the floors should be mopped and sparkling. We recommend you get your carpets professionally cleaned, especially if you had pets living with you. The outside of the house is just as important too. Mow the lawns, weed the garden, trim the hedges and sweep the paths. If you're not sure what your obligations are with the external cleaning, contact your property manager. Remember, if you don't leave the house clean and tidy, you may be required to pay for some or all of the cost of bringing it up to the required standard. Ovens: These aren't the easiest to clean, so make sure you give yourself adequate time or book a professional cleaner. Your property manager can provide you with a bond refund form. Make sure you give them the correct bank account details so there's no delay in getting that bond back. If there's multiple tenants on the agreement make sure everyone signs the form. Clearly indicate what % of the bond refund goes into each account. This is a common cause for delay. Make sure that you remove all rubbish and possessions from the property, lock the house when you leave and return your all the keys to your property manager. Give them your forwarding address for any stray mail too.